The Nike custom half sleeve compression shirts are constructed of a lightweight and breathable fabric with flatlock seams to reduce irritation from chafing. The new and improved design features raglan sleeve construction for increased mobility and vented side hem with drop tail. Add your team or event logo as well as a player name or number for next level customization. 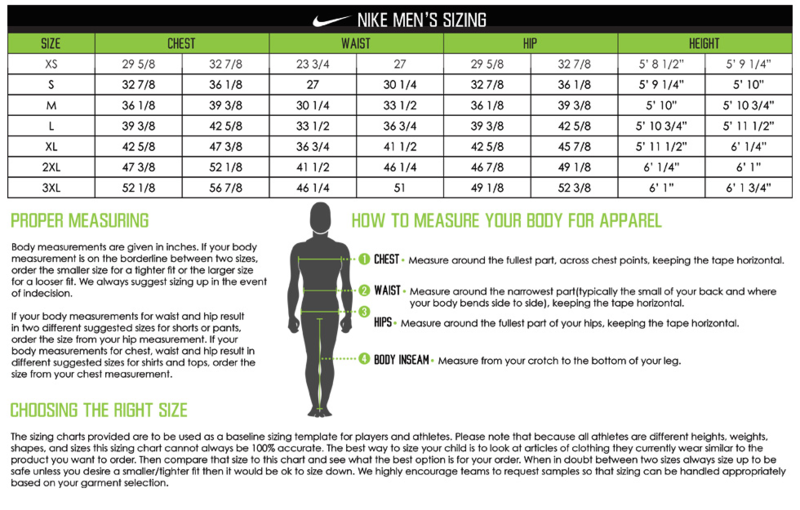 Customize your team's Nike shirt with either screen printing or performance flex. At Elevation we specialize in custom Nike shirts, so contact us today for your team quote!